Machine Learning, deep learning, algorithms - you can no longer avoid these buzzwords when it comes to Industry 4.0. Find out what Machine Learning really is and how it is applied in practice. 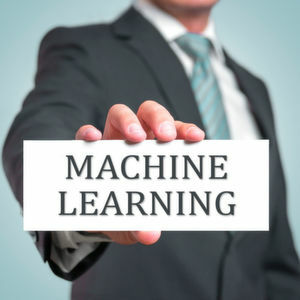 Machine Learning is a sub-area of artificial intelligence, whereby the term refers to the ability of IT systems to independently find solutions to problems by recognizing patterns in databases. In other words: Machine Learning enables IT systems to recognize patterns on the basis of existing algorithms and data sets and to develop adequate solution concepts. Therefore, in Machine Learning, artificial knowledge is generated on the basis of experience. In a way, Machine Learning works in a similar way to human learning. For example, if a child is shown images with specific objects on them, they can learn to identify and differentiate between them. Machine Learning works in the same way: Through data input and certain commands, the computer is enabled to "learn" to identify certain objects (persons, objects, etc.) and to distinguish between them. For this purpose, the software is supplied with data and trained. For instance, the programmer can tell the system that a particular object is a human being (="human") and another object is not a human being (="no human"). The software receives continuous feedback from the programmer. These feedback signals are used by the algorithm to adapt and optimize the model. With each new data set fed into the system, the model is further optimized so that it can clearly distinguish between "humans" and "non-humans" in the end. But Machine Learning means much more than just distinguishing between two classes. Using the KUKA table tennis robot as an example, you can see how a machine scans the complex tendencies and the playing style of its opponent, adapts to them and even makes a world champion sweat this way. Machine Learning undoubtedly helps people to work more creatively and efficiently. Basically, you too can delegate quite complex or monotonous work to the computer through Machine Learning - starting with scanning, saving and filing paper documents such as invoices up to organizing and editing images. In addition to these rather simple tasks, self-learning machines can also perform complex tasks. These include, for example, the recognition of error patterns. This is a major advantage, especially in areas such as the manufacturing industry: the industry relies on continuous and error-free production. 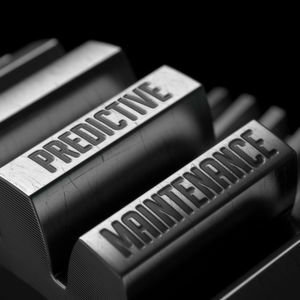 While even experts often cannot be sure where and by which correlation a production error in a plant fleet arises, Machine Learning offers the possibility to identify the error early - this saves downtimes and money. Self-learning programs are now also used in the medical field. In the future, after "consuming" huge amounts of data (medical publications, studies, etc. ), apps will be able to warn a in case his doctor wants to prescribe a drug that he cannot tolerate. This "knowledge" also means that the app can propose alternative options which for example also take into account the genetic requirements of the respective patient. In Machine Learning, statistical and mathematical methods are used to learn from data sets. Dozens of different methods exist for this, whereby a general distinction can be made between two systems, namely symbolic approaches on the one hand and sub-symbolic approaches on the other. While symbolic systems are, for example, propositional systems in which the knowledge content, i.e. the induced rules and the examples are explicitly represented, sub-symbolic systems are artificial neuronal networks. These work on the principle of the human brain, whereby the knowledge contents are implicitly represented. Supervised learning: In the course of monitored learning, example models are defined in advance. In order to ensure an adequate allocation of the information to the respective model groups of the algorithms, these then have to be specified. In other words, the system learns on the basis of given input and output pairs. In the course of monitored learning, a programmer, who acts as a kind of teacher, provides the appropriate values for a particular input. The aim is to train the system in the context of successive calculations with different inputs and outputs and to establish connections. Unsupervised learning:In unsupervised learning, artificial intelligence learns without predefined target values and without rewards. It is mainly used for learning segmentation (clustering). The machine tries to structure and sort the data entered according to certain characteristics. For example, a machine could (very simply) learn that coins of different colours can be sorted according to the characteristic "colour" in order to structure them. Partially supervised learning:Partially supervised learning is a combination of supervised and unsupervised learning. Encouraging learning: Reinforcing learning - just like Skinner's classic conditioning - is based on rewards and punishments. The algorithm is taught by a positive or negative interaction which reaction to a certain situation should take place. Active learning: Within the framework of active learning, an algorithm is given the opportunity to query results for specific input data on the basis of pre-defined questions that are considered significant. Usually, the algorithm itself selects questions with high relevance. In general, the data basis can be either offline or online, depending on the corresponding system. In addition, it can be available only once or repeatedly for Machine Learning. Another distinguishing feature is the either staggered development of the input and output pairs or their simultaneous presence. On the basis of this aspect, a distinction is made between so-called sequential learning and so-called batch learning. Machine Learning is applied at Netflix and Amazon as well as for Facebook's face recognition. For you as a user, Machine Learning is for example reflected in the possibility of tagging people on uploaded images. In fact, Facebook has the largest face database in the world. The data fed by users into the social network is used by Facebook to optimize and train Machine Learning systems in terms of visual recognition. Another application of Machine Learning that is now firmly integrated into everyday life is the automatic detection of spam that is integrated into almost all e-mail programs. Within the scope of spam detection, the data contained in the e-mails is analysed and categorised. The "spam" and "non-spam" patterns are used in this respect. If an e-mail is recognized as junk mail, the program learns to identify spam mails even more efficiently. Other areas of application for Machine Learning include search engine ranking, combating cybercrime and preventing computer attacks. With the help of Machine Learning, economic data can be turned into money. Companies that rely on Machine Learning or Machine Learning methods are not only able to increase the satisfaction of their customers, but also to achieve cost reductions at the same time. Through Machine Learning, customer wishes and needs can be evaluated and the following marketing measures can be personalized. This optimizes the customer experience and increases customer loyalty. In addition, Machine Learning can help companies to find out whether there is a threat of customer migration in the near future. This is achieved, for example, through the automatic evaluation of support requests. An alternative is to analyse those characteristics that customers who have already migrated in the past have in common. If those existing customers who also have these characteristics are then filtered out on the basis of the characteristics resulting from the analysis, the company receives a list of the customer group at risk of migration. Appropriate measures can then be taken to retain these customers. In addition, more and more chat bots are being used in the area of telephone customer service. These are automated programs that communicate with customers. In this way, the chat bots can optimize their cognitive abilities with regard to the interpretation of the tone in different situations. In addition, the chat bots are able to forward the call - for example, if it is a more complex request - to an employee of the call center. In addition to Microsoft, Google, Facebook, IBM and Amazon, Apple also spends enormous financial resources on the use and further development of Machine Learning. IBM's Watson supercomputer is still the best-known appliance for Machine Learning. Watson is mainly used in the medical and financial sectors. As already mentioned, Facebook uses Machine Learning for image recognition, Microsoft for the speech recognition system Cortana, Apple for Siri. Of course, Machine Learning is also used at Google, both in the area of image services and search engine ranking. In addition to the platforms mentioned above, there is a broad spectrum of high-quality, free open source programs through which Machine Learning has been made accessible to a wider audience, so that you as a developer or data specialist can work with it.